Despite making significant strides towards the MDGs, Bangladesh, and most other nations, lag behind when it comes to reducing maternal mortality. Image Credit: Getty Images. This September, Bangladesh is expected to stand out as the “development star” when countries meet at the United Nations in New York to reaffirm their commitments to the UN’s Millennium Development Goals. The 2015 deadline is looming on the goals, which include ending poverty, achieving gender equality, and improving world health. Bangladesh’s achievements may be surprising to many, as it is one of the world’s poorest and most densely populated countries. But as Women’s eNews puts it, a “precocious, gender-sensitive civil society movement stirring in Bangladesh since the 1970s” is largely responsible for the progress the country has been making towards the MDGs. In particular, Bangladesh is doing a great job in poverty reduction, increasing girls’ enrollment in schools (though high dropout rates remain) and satisfying the 33 percent quota of women in Parliament. All admirable accomplishments, considering Bangladesh is still recovering from 2007′s military coup. But the country is far from meeting the fifth UN development goal, which calls for a two-thirds reduction in maternal mortality rates by 2015. Maternal deaths declined by almost 40 percent in Bangladesh from 1990 to 2006, but the UN reports that the progress has halted. 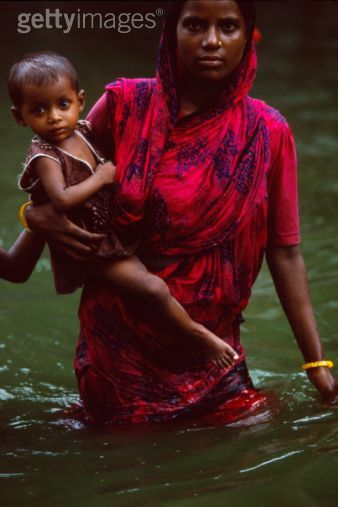 An estimated 15,000 Bangladeshi women die every year from complications in childbirth. One of the problems is the widespread prevalence–roughly 90 percent–of home births in Bangladesh. Even my aunt and mother were born on the floor of their homes, with no skilled birth attendant present. This issue of household power dynamics is often overlooked when analyzing the factors that contribute to a country’s high maternal mortality rates. I studied this topic for my master’s dissertation, and I was shocked at the assumption that Bangladeshi households have a “benevolent dictator”–normally a male mythical character, as Bangladeshi feminist professor Naila Kabeer puts it, who will supposedly make all the right decisions for the women in his household. Newsflash: He does not exist. An estimated $1.85 billion in additional foreign aid dollars is needed to assist Bangladesh in decreasing its maternal mortality ratio, but experts warn that financing alone will not get the job done. In addition to money and household power dynamics, women’s rights activists believe that violence against women (the cause of 14 percent of maternal deaths in the country), lack of security and high dropout rates among schoolgirls must be addressed. Bangladesh will no doubt be a UN “development star.” But it still has a long way to go when it comes to saving women’s lives, and showing the rest of the world how to achieve the most critical of the Millenium Development Goals. *This post of mine was first published on Ms. Magazine and also published on The Huffington Post and Feministing.